"Despite a booming U.S. economy, 5.3 million households are spending more than half their income on rent or living in severely substandard housing, a figure that has not changed in two years, according to a report released yesterday by Housing and Urban Development Secretary Andrew M. Cuomo" (Hamil R. Harris, The Washington Post, April 29, 1998). 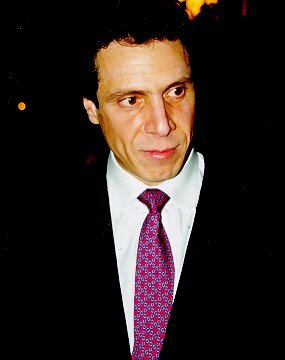 "The economic tide is not lifting all boats," Cuomo said in releasing the study, which shows that a growing number of working people don't make enough to have safe and affordable housing and that many are shut out of federal housing because there is no room" (Hamil R. Harris, The Washington Post, April 29, 1998). "Cuomo attributed the housing crunch to the economy and the fact that no public housing units have been built in the United States since 1995. 'We are losing affordable housing units because the economy is good and rent is going up. We are also not building new units,' Cuomo said. 'We should have seen this train coming'" (Hamil R. Harris, The Washington Post, April 29, 1998). "The number of apartments affordable to families with very low incomes dropped by 900,000 from 1993 to 1995; the number of working-poor families increased by 265,000 during the same period; and the affordable housing shortage, once just a problem for the inner cities, has shifted to the suburbs" (Hamil R. Harris, The Washington Post, April 29, 1998). "Federal officials say the 5.3 million households in the report represent 12.5 million people - including nearly 4.5 million children, 1.5 million senior citizens and from 1.1 million to 1.4 million adults with disabilities" (Hamil R. Harris, The Washington Post, April 29, 1998). "The report defined the low-income households as those with a yearly income less than $13,590 for a family of four and less than $10,872 for a family of two" (AP - The Daily Progress, April 29, 1998). Charging that the country is still split into 'cities of haves and the cities of have-nots,' Rep. John J. LaFalce (D-NY), the ranking minority member of the House Banking and Financial Services Committee urged his colleagues on Capitol Hill to approve the president's 1999 budget, which includes $1.8 billion in housing initiatives" (Hamil R. Harris, The Washington Post, April 29, 1998). "One program would give rental housing vouchers to 103,000 families. 'Targeting new vouchers to help families move from welfare to work is an intelligent investment,' Cuomo said. 'It rewards men and women who are willing to work hard to climb out of poverty under their own power'" (Hamil R. Harris, The Washington Post, April 29, 1998). At a recent conference on Revitalizing Communities, Andrew Cuomo "spoke about the current period of transition in our country and how it presents new opportunities for the future of low-income people, neighborhoods, and cities" (Hope From Homes, A Report on the Enterprise Foundation's Communities for Change Campaign, 1998). Said Mr. Cuomo, 'This country doesn't work until it works for everyone, everywhere. There are still places where people don't see the promises but the perils. We have a lot to do in our cities'" (Hope From Homes, A Report on the Enterprise Foundation's Communities for Change Campaign, 1998).